When he is inducted into the Naismith Memorial Basketball Hall of Fame next month, Jason Kidd will mostly be celebrated for his college contributions and stellar NBA career. But his pristine performance for USA Basketball — a perfect 56-0 — simply can’t be ignored. Over the course of the last two decades, no basketball player has had an international hoops career quite like J-Kidd. In fact, August 24th marks the 10-year anniversary of the last time Jason suited up in the red, white and blue for Team USA, during the U.S. Olympic Men’s Basketball Team’s gold-medal game triumph at the 2008 Summer Olympic Games in Beijing. With that victory, the Americans returned to the top of the podium after a disappointing bronze medal run without Jason in the 2004 Olympics, and J-Kidd capped a remarkable international career. Jason’s success with Team USA predates that last gold by nearly a decade and starting in 1999, as long as Jason was on the roster, Team USA never lost a game. That run began at the ’99 Tournament of the Americas in Puerto Rico, where the U.S. breezed to a perfect 10-0 mark with an average margin of victory of more than 30 points to secure gold that summer. Despite splitting time at point guard, Jason averaged 7.4 points and 6.8 assists per game for the tournament. 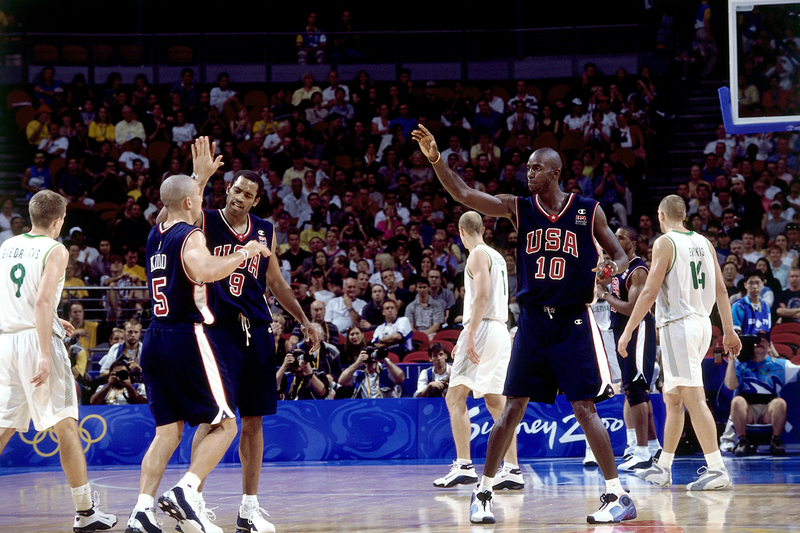 That win also qualified the Americans for the 2000 Olympic Games, as Team USA sought its third straight gold in men’s basketball. The following summer, Jason was selected as an Olympian for the first time. 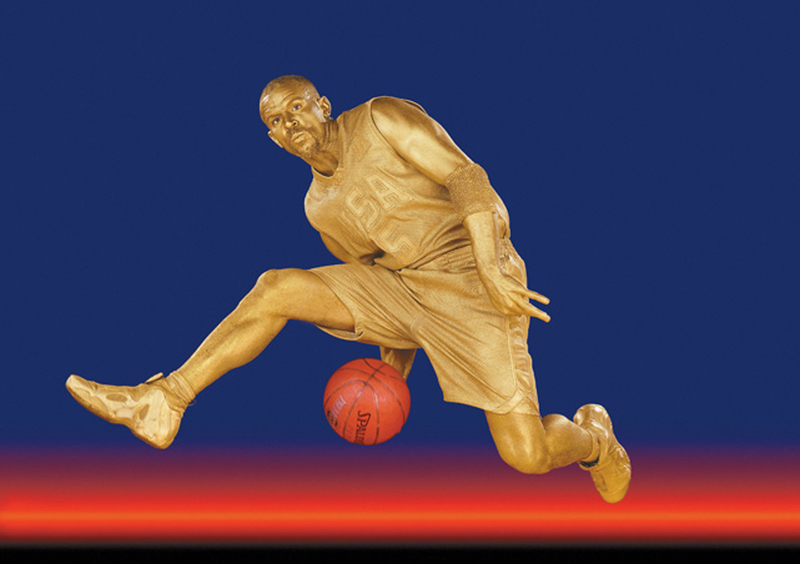 At the Summer Games in Sydney, Australia, J-Kidd and a roster including the likes of Gary Payton, Vince Carter, Kevin Garnett and Ray Allen managed to continue the tradition of the Dream Teams that preceded them, posting a flawless 8-0 mark to claim Olympic gold. Over the course of those eight games, J-Kidd averaged 6.0 points per game, 5.3 rebounds per game and a team-high 4.4 assists per game, doing a little bit of everything on the way to his first gold medal. That also marked Jason’s last Team USA appearance for a few years. Having already qualified for the 2002 FIBA Worlds, serving as the host country, USA Basketball decided to send a team of college players to the 2001 FIBA Americas tournament in Argentina. When those FIBA Worlds rolled around a year later in the U.S., Jason, fresh off his first NBA Finals appearance with the Nets, was unable to participate due to a groin injury. A short-handed USA roster came up short, failing to even medal on home soil, beginning a long spiral away from dominance for Team USA. There was one glimmer of hope during that cycle, in 2003 at the Tournament of the Americas in Puerto Rico. Seeking to qualify for the 2004 Summer Olympic Games in Athens, Greece, USA Basketball brought out the big guns, and a team led by J-Kidd, Tim Duncan, Vince Carter and Ray Allen once again breezed through the tournament with a 10-0 record. J-Kidd started all 10 games and posted averages of five assists and 3.4 points per game, while the U.S posted another 30-plus point average victory margin to bring back the gold and qualify for the 04 Olympics. But the success of 2003 remains isolated in history, bookended by 2002’s World Championship failure and USA Basketball’s most embarrassing moment, at the 2004 Olympics. The cascade began when another injury forced J-Kidd, who was relishing the opportunity to go back-to-back, off the 2004 Olympic roster. This time the ailment was much more severe, an injury to his knee suffered during the 03-04 NBA season, which ultimately required microfracture surgery and saw him miss the start of the 04-05 NBA season as well as the Olympics. The absence of veterans like J-Kidd, as well as Allen and Carter, left Team USA with an extremely youthful, albeit talented roster in Athens. At 29, Allen Iverson was the veteran of the group, while young stars like LeBron James (then 19 years old), Carmelo Anthony (20) and Dwyane Wade (21) were simply along for the ride. The result left much to be desired. Team USA dropped the opening match of the 2004 Olympics against Puerto Rico, their first preliminary round loss in the Olympics since NBA players began participating. It was one of two losses for Team USA before the tourney began. They still managed to make it to the semifinals but fell there to Argentina, eliminating the Americans from gold medal contention. They went on to secure the bronze with a win over Lithuania, but the disappointment has been etched in stone. The Americans again came up short at the FIBA Worlds two years later, claiming another bronze to finish a horrific cycle and set the stage for redemption. That story began to be written at the 2007 FIBA Americas (previously named the Tournament of the Americas), in Las Vegas, the first such tournament on U.S. soil since the 2002 FIBA Worlds debacle. For Jason, being there as a part of that team was as important as it had ever been before. Under the leadership of Jerry Colangelo and legendary Duke University basketball coach Mike Krzyzewski, USA Basketball assembled one of the best Team USA rosters of all time. Jason started at point guard, backed up by Deron Williams. Kobe Bryant started at the two-guard, LeBron and Carmelo were the forwards and Dwight Howard was Team USA’s big man in the middle. Once again, the Americans dominated, with an average victory margin of nearly 40 points. J-Kidd was that team’s primary facilitator, and his passing ability and willingness to create plays for his teammates helped restore the name of USA Basketball during that star-driven cycle in USA hoops history. Jason prided himself so much on not shooting the ball during the tournament, and letting his star teammates make plays, that he averaged just one shot per game for the tournament (he went 6-10 from the field when he did shoot). He averaged 4.6 assists and 3.3 rebounds per game, and led the tournament with a 9.20 assist-to-turnover ratio to help push the squad back to gold and a qualifying spot in the 2008 Olympics in Beijing, China. 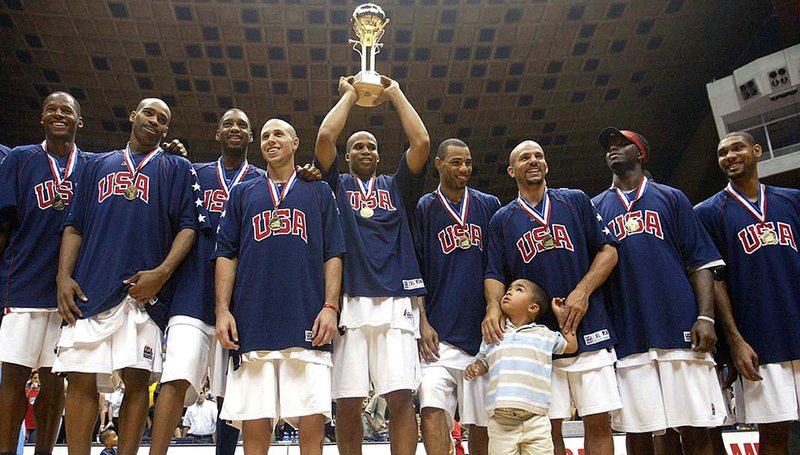 It was during that 2007 tournament that the members of Team USA made a pact to return the following summer and finish what they started by bringing USA Basketball back to the top of the podium in Beijing. And that was exactly what they did. The 2008 Olympic roster was much the same as the 07 FIBA Americas roster, with a couple notable reinforcements. J-Kidd, the team’s elder statesman, was backed up by not only Williams, but rising star point guard Chris Paul. Chris Bosh and Carlos Boozer were also added for frontcourt depth, which allowed Team USA to play small ball and keep the world’s best off balance. Though he started all eight games during those Olympics, Jason again refused to shoot the ball, taking just seven shots in eight games (remarkably he made six of those seven attempts). He also ceded some of his playing time to Paul and Williams. 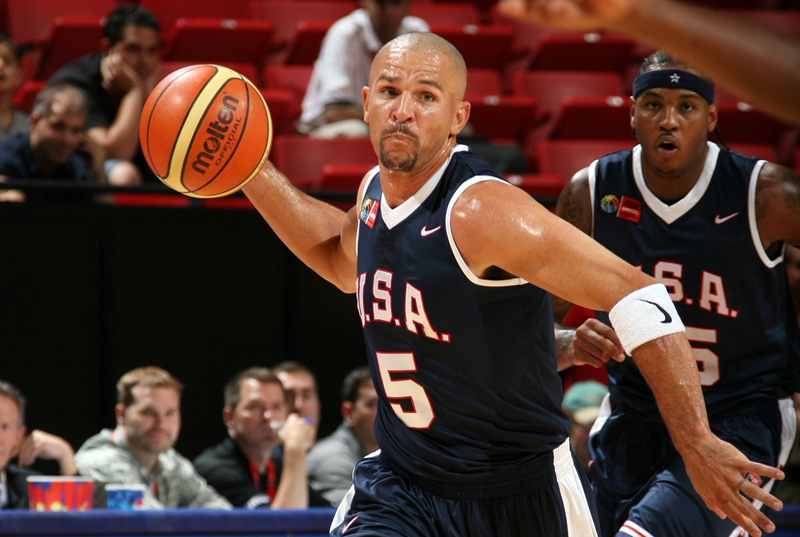 But more than anything else he could provide, Team USA benefited from Kidd’s veteran leadership. “I was very thankful. Even being the oldest, I just felt I was part of the team, doing whatever a could mentally and physically to help the team,” he recalled. 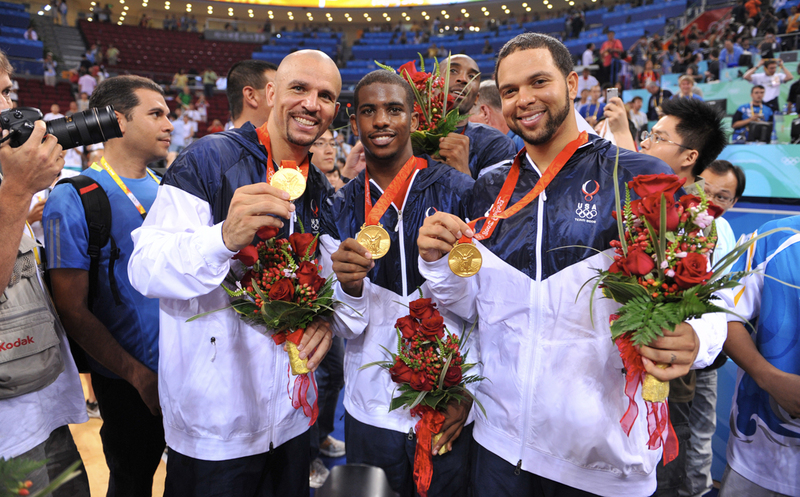 The Americans went undefeated en route to the gold medal, defeating a tough Spain squad led by the Gasol brothers in the championship game. Over the course of the entire tournament, Team USA won each game by double digits. 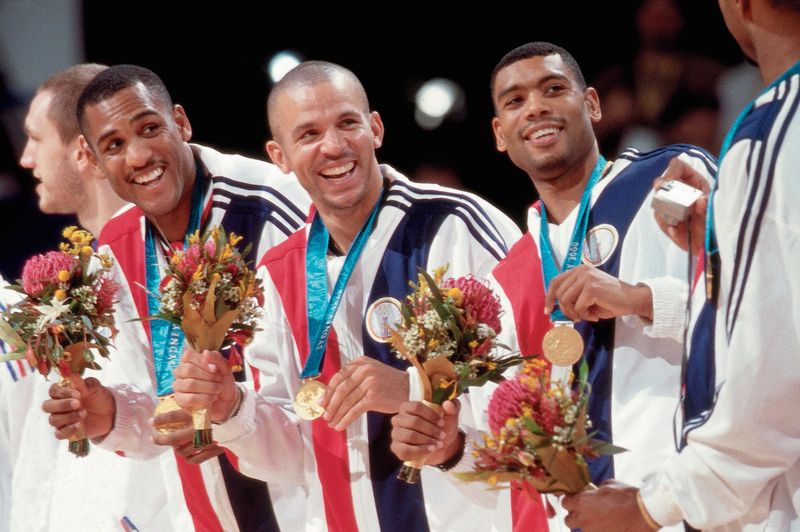 Their dominance harkened back to the 1992 Dream Team, which blew through the Olympics at a similar clip. Jason and his compatriots heard the lofty comparisons, and rejected them, for the ’08 squad wanted to create their own identity. Thus the moniker of Redeem Team was born. The Redeem Team set the tone for the future of USA Basketball at the dawn of a new era, and as the bridge from one era of dominant Team USA hoops to the next, Jason takes a tremendous amount of pride from his tenure with the National Team. That’s why, for all that he accomplished in his professional playing career—from being named co-Rookie of the Year with Grant Hill to being a 10-time All-Star and finally winning an NBA title with the Dallas Mavericks in 2011, Kidd’s pristine national team career with USA Basketball stacks up strongly near the top of his extensive basketball résumé.